simple, creative and impactful! Read more about the details and how to pull it together yourself here. This would make a perfect piece for a buffet table and at a smaller scale and lower height the dining table. If you weren’t up for or didn’t have time to paint the holiday balls with color, I think it would look just as snazzy with various sized silver or gold balls! I tend to nest indoors and entertain more this time of year. 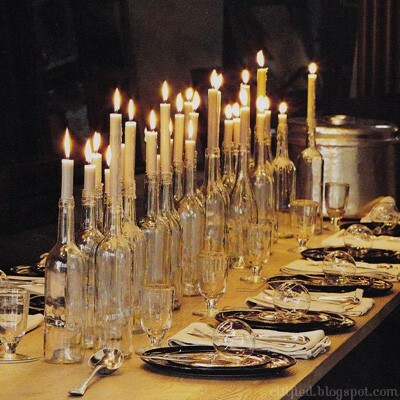 It’s very simple to create a dramatic table! 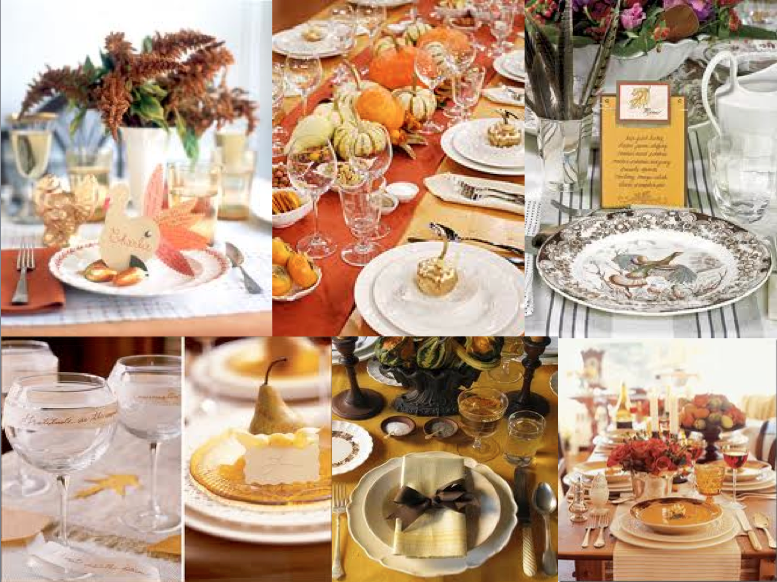 Here are some gorgeous ideas for your Fall fete! I have a penchant for Faux Bois. I actually framed this wrapping paper. It hangs in my office but could also be used as table decor. If you’re feeling very inspired why not create your own runner with a little paint and the proper roller! I love the texture and various heights created with this array of fall foliage and flowers. 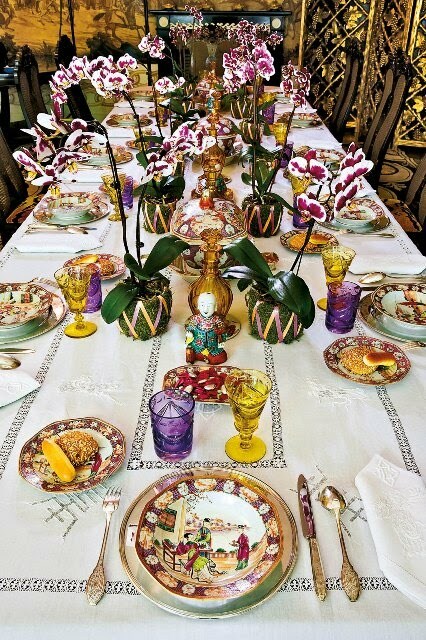 I won’t be hosting Christmas this year, but I still can’t resist a bit of holiday table inspiration! Here I’m honing in on the napkin. 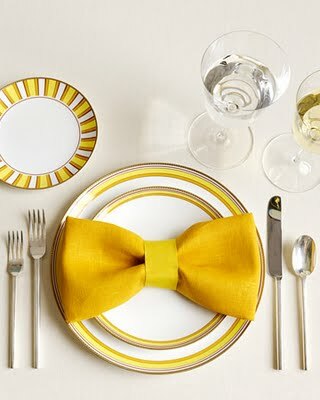 Do you like the idea of the bow shape or not? Just curious? 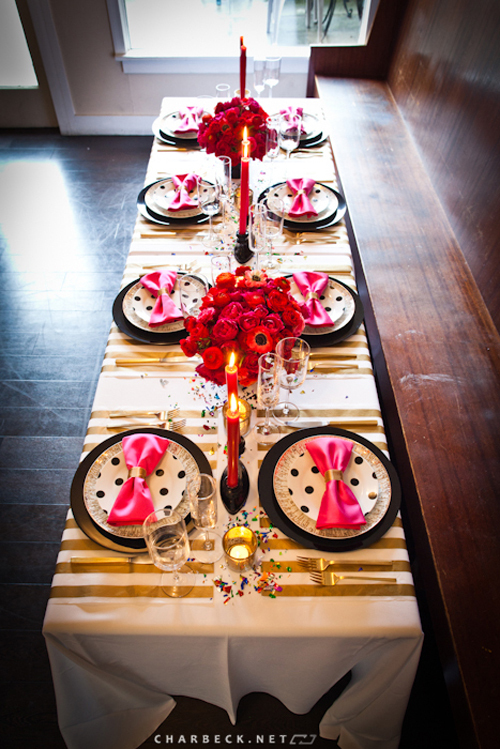 More then anything I like the added punch of color these napkins add. 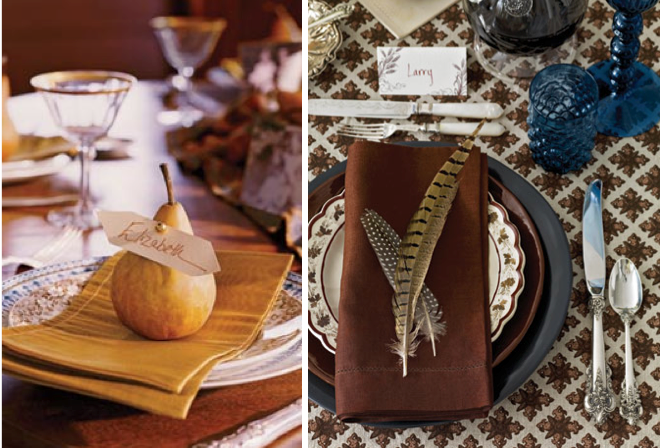 Often times you can create beautiful table settings by mixing what you already own! 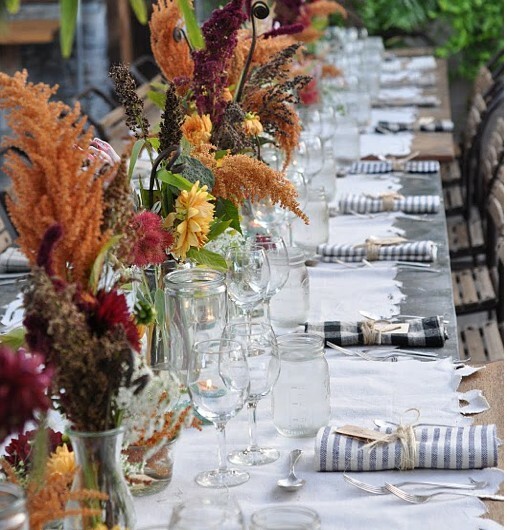 With a few simple additions like ribbons, gourds, pears, place cards, flowers, natural found objects your table will look smashing! 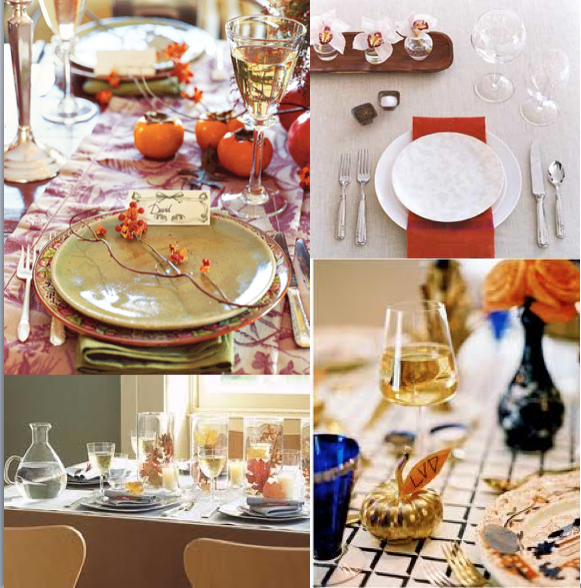 Are you entertaining this year?? if so, good luck and happy cooking. 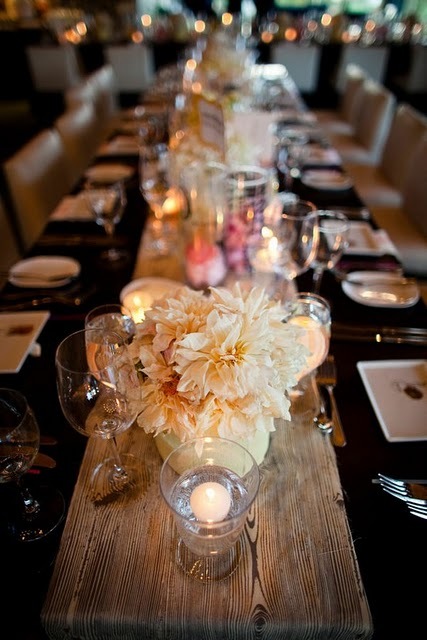 I can never resist a beautifully set table. 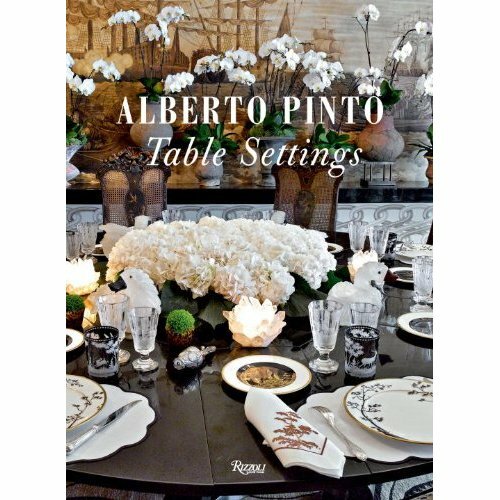 In honor of the upcoming holiday season, I’m recommending Alberto Pinto’s Table Settings. His book is packed with inspiring ideas and tips! I would love to start a collection of mixed vintage dishes and glasses..My issue right now is storage! I’ll think of something. At the moment, I’m feeling like I need to overhaul my life, get rid of unused “stuff” and refine my belongings. Big, unexpected life changes force you to sort of analyze your life and well being don’t they?